Designed in the Pacific Northwest, this rainy day classic was tested in some of the world's worst downpours. The shell is fully waterproof and has a brushed lining to manage sweat. 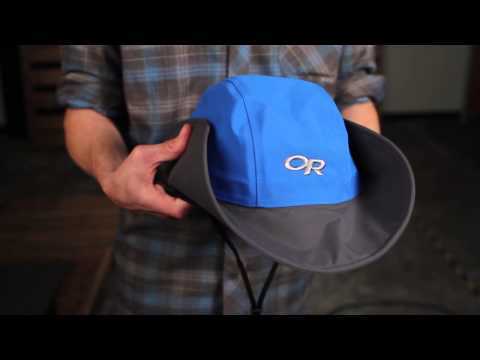 The shaped brim directs water away from your head. Waterproof-breathable 3-layer 70-denier GORE-TEX® fabric, seam taped to keep water out. Foam stiffened polyurethane-coated brim floats when you drop it in the drink. Internal cinch band helps get the fit right. Hook and loop tabs secure the brim. Removable chin cord and cordlock.